The International Laser Class (ILCA) has posted information on their website, following Internet speculation surrounding the C5 and ARC rigs for use with the Laser hull. Firstly ILCA states that it has no plans to replace or remove any of our existing classes. The 4.7, Radial and Standard classes will continue as always with controlled, incremental evolution and development aimed at improving longevity, increasing the ease of use and reducing the cost of ownership. Second, any new rigs that are in development are not proposed for inclusion in the Olympic reevaluation or sea trials, due to take place later this year. It is the existing Standard and Radial rigs that ILCA is working to have retained for the Olympic Games. The one proposed change at this time is a new composite Radial lower mast that is in development with an introduction planned so as not to conflict with the 2020 Olympics. The composite Radial lower mast is intended to eliminate any permanent bending issues seen in some aluminum masts and therefore reduce the cost of owning, maintaining and racing the Laser Radial. Four years ago, Performance Sailcraft Australia brought to the ILCA World Council information and video about new rig ideas they were working on in conjunction with some local sailing enthusiasts. This was shown to the ILCA World Council who determined it worthwhile to see if a new rig could be developed that would facilitate a smoother transition from the Optimist into the Laser family. Initial tests of this new rig (with the working name “C5”) have been positive and development has now reached the point where it would be useful to deploy a reasonable number of sample rigs “into the field” as a test to see how they perform in racing conditions in active fleets. Performance Sailcraft Japan, which has long been championing the idea of a way to make the Laser more viable for lighter weight sailors, has stepped up to serve as the lead builder on the introduction of the “C5” test rigs. In addition to discussions about the “C5” project at the ILCA World Council meeting in November 2018, an announcement was made by Laser Performance that they had recently begun working on their own new rig for use with the Laser hull. It now appears that Laser Performance are calling their new rig the “ARC” and have suggested that they will release the new rig in May this year, in Radial and Standard versions. Depending on the progress of the ARC rig, ILCA may be able to evaluate both the ARC and the C5 approaches before moving forward with the process of adopting a new rig as class legal equipment. So, although there are several designs currently being developed by different builders, ILCA’s intention for adopting any new rig would be to attract a group of sailors to the “Laser” family that we are currently not capturing. ILCA emphasises that if the class adopts such a rig, ILCA would work to ensure a strict one-design approach is maintained so that, as always, it is a sailor’s ability, and not the amount of money spent on equipment, that determines who wins a race. 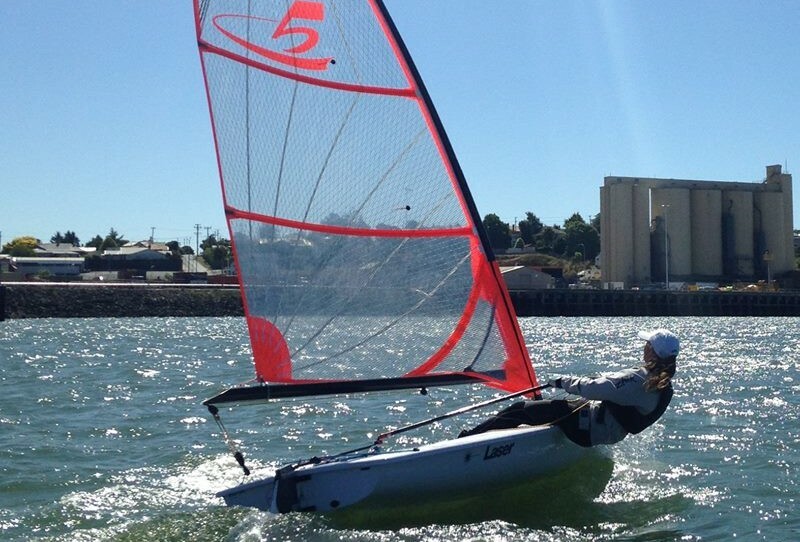 Some would think that this sudden rush to clarification regards new rigs for the Laser classes is fortunate timing by the ILCA, as they are about to go head-to-head with a bunch of new, modern, lightweight dinghies for a place in the 2024 Olympics, and beyond. Full ILCA document available here.